The activities of the European project “Rome and Sarajevo for Europe – A European “treaty” of and for the citizens RoSaE” on the values of European citizenship, of which Indire is partner, continues. 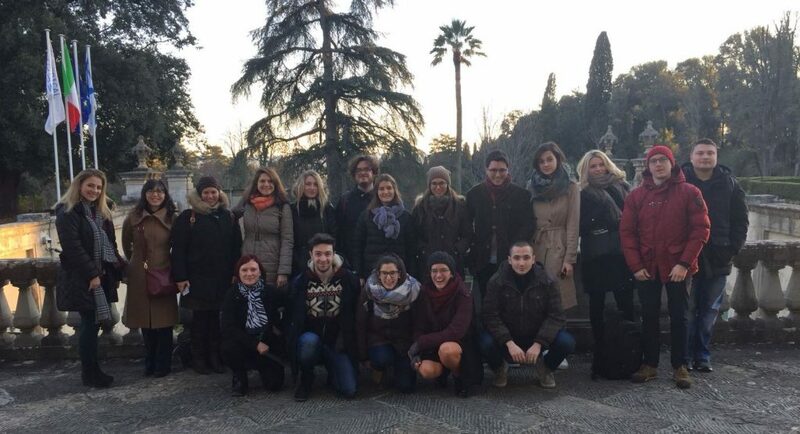 This week, the department of legal studies of the university of Florence, which is one of the project’s partners, hosts the winter school “European Values, Fundamental Freedoms and Human Rights” participated in by the students of Unifi and 15 students of the Centre for Interdisciplinary Studies of Sarajevo University. At the opening of the session, some of the results of Indire’s research on the ongoing innovation processes in Italian education were presented. 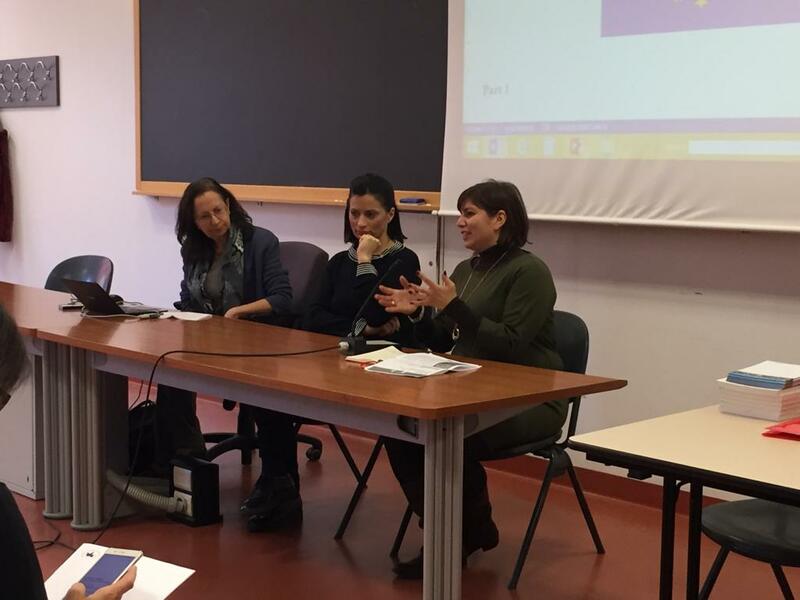 Moreover, the opportunities offered by the Erasmus + programme to Italian and Bosnian students were shown. «In the last two years – Elena Maddalena, who intervened as Indire’s referent said – thanks to Erasmus + international mobility, students from all over the world have the opportunity to receive a bursary for study or carry out an internship in European universities. It’s a not-to-be-missed opportunity for personal growth and development, as it provides direct experience of European citizenship, language learning opportunities and increases the chances of finding employment at the end of studies». The winter school, directed by the Professor of European Union law, Chiara Favilli, is organised in 7 sessions with conferences and workshops dedicated to the European integration process and its values, European policies on the management of migration flows and asylum seekers, access to the EU for the requesting countries and future perspectives of integration. 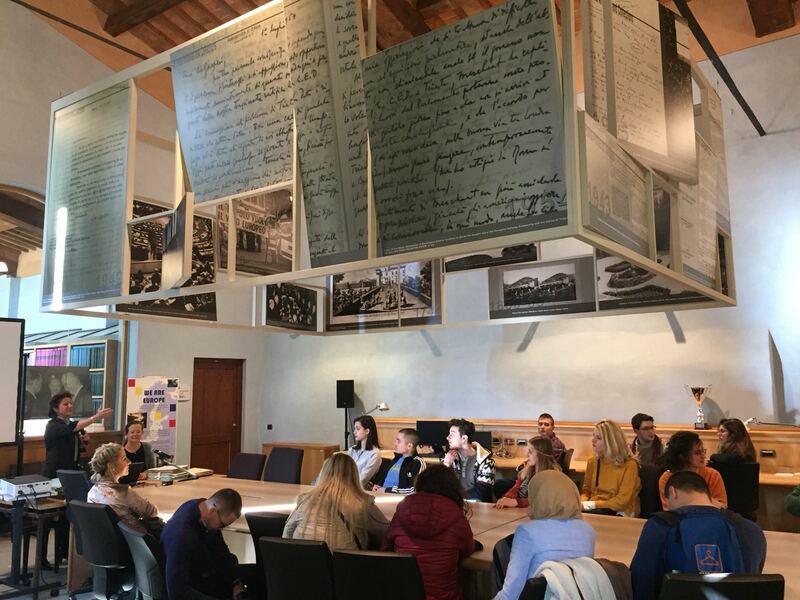 “The Florence Winter School – commented Dino Pehlic, a bosnian student – provided a useful insight on contemporary issues and challenges relating to the European values, fundamental freedoms, and human rights. This, at the end, equipped me with the long-lasting knowledge that might be applied both in academia and a practical field work”. 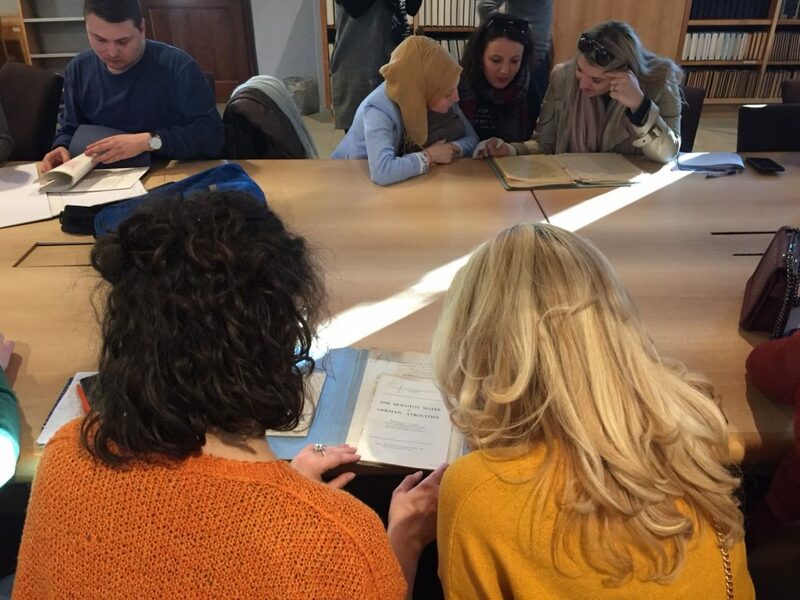 On the first day, Tuesday 13 February, students visited the historical archives of the “Istituto Universitario Europeo” in Fiesole where a set of official documents of the European Union’s development were available for consultation. «Having the possibility to touch and read the original correspondence between the politicians of the ex-Yugoslavia and Jacques Delors, president of the Eu commission at that time, dating back to the beginning of the 90’, when the Balkan conflict broke out, is very interesting» A Bosnian student commented. Rome and Sarajevo for Europe – A European “treaty” of and for the citizens (RoSAE), coordinated by the department for development projects and European funding of Rome’s municipality, is part of the “European programme Europe for the citizens 2014-2020” which supports proposals drawn up by institutions and organisations to bring citizens closer to Europe, in order to develop e deeper understanding of the Unison’s history, promote European citizenship and enhance civic and democratic participation. Indire is also taking part in the project as partner institute, together with Florence University – department of legal sciences, the Centre for Interdisciplinary Studies of Sarajevo university, in Bosnia, Sarajevo city council, and the Experimental Centre of Cinematography, “Roberto Rossellini”, in Rome. All through 2018, The RoSAE project organises training, cultural and dissemination activities, aimed at enhancing citizenship values in Rome and Sarajevo.